Between building a “power point display” using an easel and printed out images, and panicking about the upcoming workshop, I decided to do this. I’d love to turn this into promo cards, but it might be too trippy. What say you, Internet? Like my posts? Follow my website or “Like” my facebook fan page and/or follow me on Twitter. You can also purchase my debut novel, Song of Simon, at any online bookstore or a real one (you’ll probably have to order it). Of course, you can always buy an autographed one from me, just send me a message. Song of Simon currently has a 4.7/5.0 rating on Amazon, so people seem to like it. If you’re looking for something FREE, you can read my serial (soon to be an expanded series of novels) The Watchmage of Old New York. Though it ended in February, it remains one of the most popular serials on JukePop OF ALL TIME! 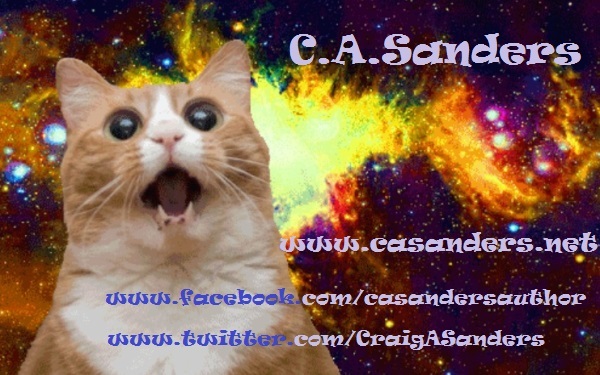 This entry was posted in Humor, Writing and tagged amwriting, author, Cats, memes, pointless by C. A. Sanders. Bookmark the permalink.